What are the best mail order Home Shopping Catalogues? Ever considered opening and running a mail order catalogue? Catalogues with Credit are great for building or rebuilding your Credit rating and for ordering items straight to your door. 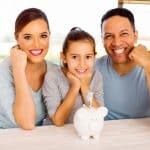 Spread the cost with easy and affordable low monthly repayments, free returns and of course, the additional benefit of having a Credit limit to spend as and when you need it. Home shopping mail order catalogues offer pretty much everything you need, but which Catalogues are the best? This top ten list comes from our own personal experience. When we composed this list, we have considered the following. We have had a Freemans account for around 12 months at time of publishing this page. In that time we have received all of our orders the very next day, all of our items were delivered in top condition, we have had no Statement issues, no customer service issues and we have had several sensible credit limit increases. We also receive frequent money off offers and discount codes to use. You can apply for a Freemans.com catalogue here. We opened our Very Catalogue about 8 months ago and I must say I am Surprised by the negative feedback they have on some of the review websites. We have had no issues what so ever in terms of billing, delivery or customer service. In fact, the opposite, Our Credit limits are review every few months, their pricing is one of the best from a mail order catalogue and their deliveries have always arrived on time without any hassles. We have heard so many great things about Ace we decided to give them a try. In all honesty, they are very unlucky not to be in the top two. The only one thing that stops me from awarding them a top two place is the constant promotional emails, that despite unsubscribing we still receive several times a day. The catalogue offers everything and I would say their pricing is the best from any pay monthly catalogue. The Credit limit was the lowest of all my pay monthly catalogues and this has never been increased, but I would recommend you consider Ace for Quality, Pricing and an all round great catalogue. You can apply for a Ace catalogue by clicking here. One thing stops JD Williams being higher and that's the very high interest they charge. JD Williams have a fantastic range of goods and very good customer service, they excel in fast delivery and offer customers frequent offers. This review is actually based upon my Wife's catalogue, which I run on her behalf. Look Again are probably one of the friendliest Catalogues we have experienced. If you don't place an order for a while they send out fantastic offers which really save money! We have had everything from 40% discount codes through to £50 off orders costing £100 or more. The Catalogue has great stock levels and I would say probably the most responsible credit limits of all the pay monthly catalogues. Sensible limits with frequent reviews. I have had an account with Argos for near on two years now and it's a wonderful catalogue to operate. You can order items on same day delivery or even use the Catalogue store card to purchase in store. You can apply for a Argos Catalogue and Catalogue store card here. Up, Down, Pause, Up, Down, Pause. No we haven't lost our mind, but be prepared if you are thinking of opening a Next catalogue account. Next are probably the most cautious catalogue in terms of credit limits. We have had our account credit limit cut once, increased twice and suspended twice, all in twelve months. The credit limit increases are let's just say Bonkers. We started at £250, was reduced to £100, increased to £3750 all the in the space of 4 months. Our account was restricted because we had opened a credit card elsewhere then re-activated a couple of months later. It's pretty hard work being a Next customer, especially when you just want to place an order. I will confess I haven't ordered from Jacamo for nearly 6 months now, nothing to do with Customer Service or pricing or in fact the great styles they offer men. We actually stopped ordering when we opened our Very account as they offer Buy Now Pay Later which suits us in terms of saving money on interest. The Jacamo catalogue is aimed at men and offers great Styles and Fashions, good credit limits and all backed by most items being available on next day delivery. 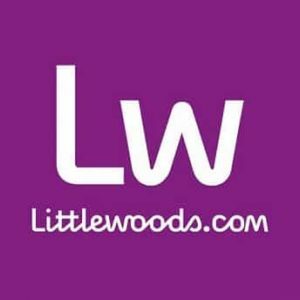 Now don't think because Littlewoods.com is our number nine we don't love it. In fact we do. I will explain why we chose for them to be lower in just a moment, first, I will brag, they offer great credit limits, wonderful stocks, perfect customer service and most of all an absolutely amazing range of items. However, I have one real pet hate with the Littlewoods catalogue.That's on buy now pay later. If you use Buy Now Pay Later it will hold not only your order (but also the interest) against your account and credit report despite the fact I always clear the balance before the Buy Now Pay Later date is even close. It reduces your available credit and hammers your Credit rating. Other than that little problem, it's a wonderful catalogue. You can apply for a Littlewoods catalogue here. Now don't get me wrong, this catalogue has style, it has fashion it has everything, everything I want to own. However, it has a policy that just won't give up! I no longer have bad credit, in fact everything I apply for is now accepted. Not however for this Catalogue, it's decision flashes up instantly as if they have black marked my name, it's a real shame as it looks to me like a great Catalogue and I for one would use the option, you can pay by Credit or Debit card, but seeing as they flat out refuse me a credit account, I just can't find myself supporting their business. They don't want me as a customer so I won't spend with them. Childish eh? But at least they made it to the top ten, I could move them higher if I see what they are like for delivery and customer service. You can apply for a La Redoute account here. We hope you enjoyed our top ten mail order catalogues with credit. We welcome your own comments below. I've missed a Catalogue payment, Can I remove the mark on my Credit Report?